The theatrical release of the film Hotel Mumbai was suspended in New Zealand on the grounds that the film’s realistic depiction of terrorist attacks comes at the wrong time for a country still reeling from the Christchurch mosque massacres that left 50 people dead. While film’s release will go ahead in other countries, its reception has obviously been coloured by real-life events, and raises afresh concerns about the appropriateness of depicting real-life violence in an entertainment medium. 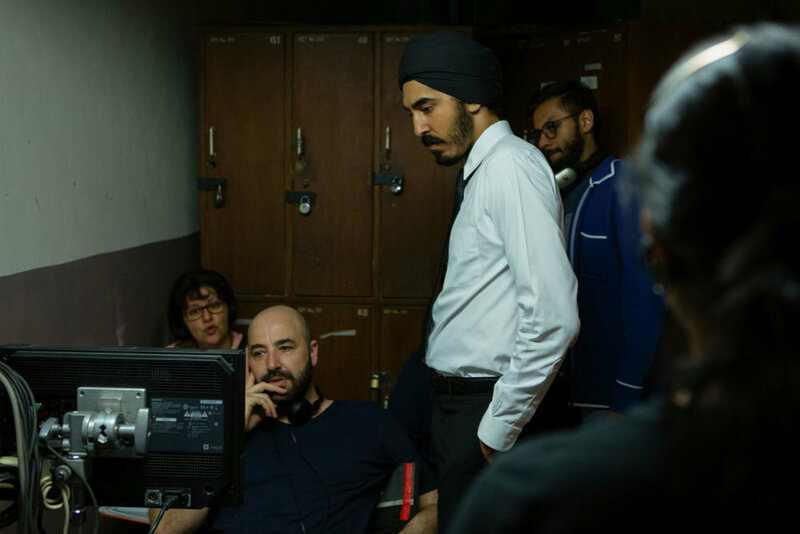 Director Anthony Maras (left) and actor Dev Patel (right) on the set of Hotel Mumbai. As Hotel Mumbai’s director Anthony Maras recently told the Hollywood Reporter, “Unfortunately, I don't think there's ever a good time for a film like this. But I've said it before: I think sunlight is the best disinfectant for these issues. I think the example of the staff and the guests at the Taj hotel are a really worthwhile thing to remember and have discussions about." His point — that the threat of random mass violence is unavoidable in contemporary life — was clear when the film premiered at last fall’s Toronto International Film Festival. The city was still shaken from the Danforth Avenue shootings in July and the van killings on Yonge Street in April. Here are some of Maras’s thoughts about dramatizing tragedy. “It was a conscious choice from the outset to deal delicately with the subject matter. So Hemant Oberoi, the chef, is obviously based on the real-life man and we use his name. The thinking behind that was he was a public figure prior to going into the attacks and he was one of the persons that I had most contact with at the outset. “I don’t know how much is too much but it was kind of pretty simple. We spent a lot of time listening to the stories of the people who survived and I guess the goal was to try and place the audience in the experience of what it was like in the hotel. The violence that's depicted on screen is an outgrowth of that. I tried not to be gratuitous with it. In many cases the violence is implied. For instance, in the scene with the receptionist you don't see anything but you know exactly what's happening. “I hope they take away from the film what I got from the interviews of survivors which was, in aggregate, the idea that you had people from all walks of life coming together to survive in the most horrific experience that you could imagine. “You know there are a lot of terror attacks and there are a lot of cases where people are just killed and I'm sure there are other cases of this but Mumbai was, in some respects, unique because of what the hotel was and what it stands for and because of the types of people that you find in that hotel. You have young waiters from the slums in there with hedge-fund managers and when the bullets start flying all of those classes are kind of neutralized because they're all in the same boat together.